Boca Junior's "La Bombonera" will be added in the PES 2015 DLC 4.00, while two well-known fantasy stadiums from previous games return with "Burg Stadion" and "Studio Orione". 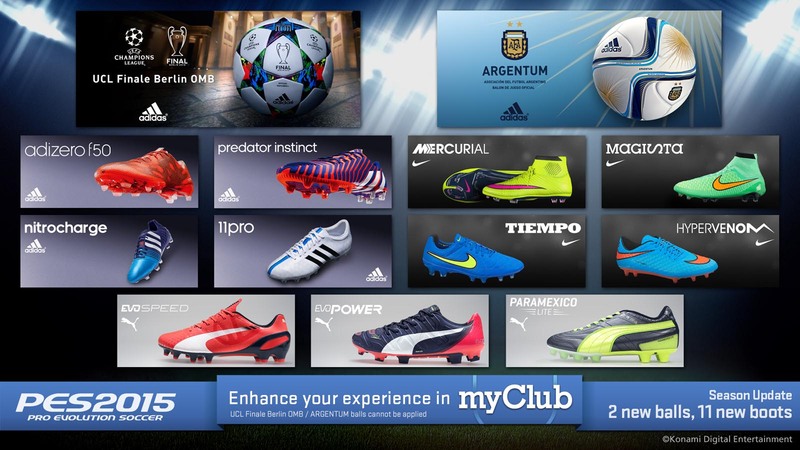 Additionally to transfers, faces and stadiums, 11 new boot colorways from Adidas, Nike and Puma, as well as the new Champions League Finale Berlin Ball and the official ball of the Argentinian League, Argentum, will be in the download. You can share your opinion about Data Pack 4.00 right below.